Here we come the announcement of the selected projects of “LINE CHALLENGE DEVELOPERS – SIIT” to final round of the competition. Congratulations to the selected team!, you will received the invitation to LINE API Workshop on 20 August 2018 via email. What is LINE CHALLENGE DEVELOPER? 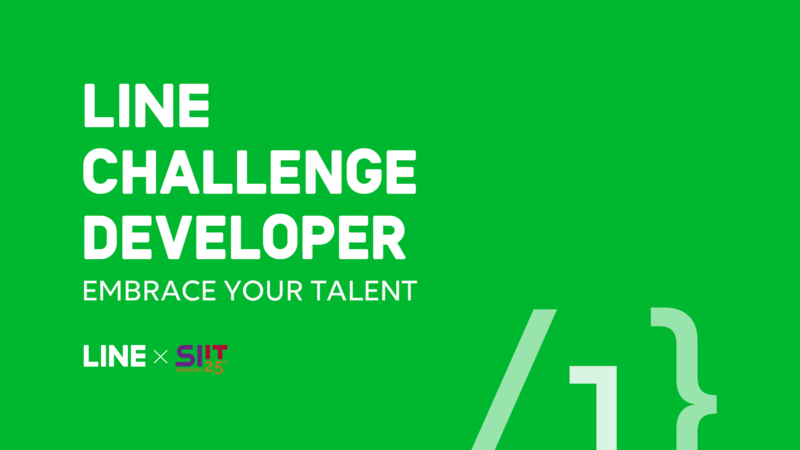 LINE CHALLENGE for developers is a software competition project that LINE and Sirindhorn International Institute of Technology (SIIT) University want to embrance a young developers who has talent, skills, ideas and passion. 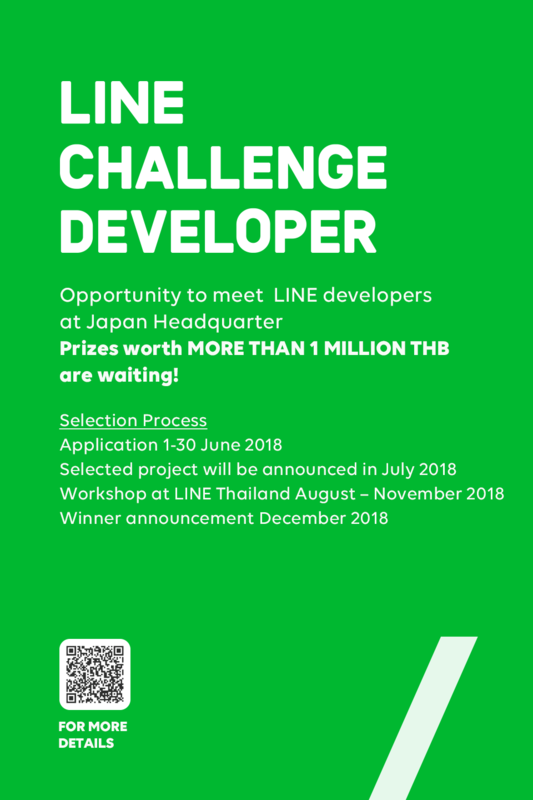 Successful applicants (teams) of LINE CHALLENGE will have a chance to work closely with professionals from LINE Thailand team who created and developed many services in LINE such as LINE TV and LINE MAN, and they will be the mentor for those students to help and guide them to make theory become practical. The project will start from May 2018 for the recruitment and the winner announcement will be in December 2018. The applicants of this project must be students of Information, Computer and Communications Technology (ICT) from Sirindhorn International Institute of Technology (SIIT), Thammasat University. The successful particiants will have workshop, mentorship, co-working space at LINE Thailand office and will also get API from LINE. The winners will have a opportunity to go to Japan and visit LINE Headquater in Tokyo as well as meet developers from global team. Interested students can go for trial LINE API version – CLICK HERE to try before applying. Within 10-15 days after the annoucement through email (in case of being selected). 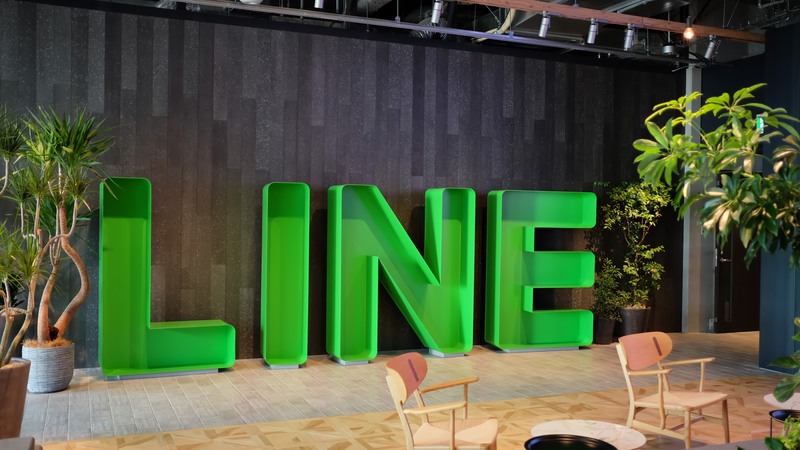 In early August 2018, The selected projects will be invited to do the workshop at LINE Thailand Office. Opportunity to visit LINE Headquarter at Japan or Korea, meet real HQ developers and many more!